01 Oct 2018 --- Gummy vitamin brand vitafusion, manufactured by Church & Dwight, has become the “first in the vitamins category” to use recycle friendly shrink-film labeled packaging in the US. 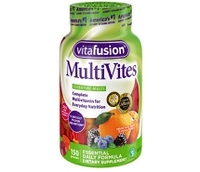 Launched this year, packaging for vitafusion’s MultiVites 150-count gummies now incorporates shrink labels made with high-performing Eastman Embrace LV resin and Sun Chemical’s SunLam Deseaming Adhesive, converting a previously non-recyclable package to a recycle-friendly one. The full vitafusion gummies line will convert to recycle-friendly shrink labeled packaging in 2019. “While all our products are already in recyclable bottles, we set out to solve the issue that the shrink wrap on the bottles creates in being eco-friendly across the vitamin category. Our Global Packaging Group have been searching and are excited to have harnessed the innovative technology solve for recyclable-friendly packaging and take our environmental footprint to the next level,” Laurie Kirschner, Director of Marketing at vitafusion, tells PackagingInsights. driving a host of innovations. “Both companies were just as eager as we were to come up with a way to make our entire packaging recyclable-friendly. We ultimately want to use this technology for all of our packaging, so this was an important project for us all,” she adds. Incorporating the new deseaming adhesive into its current labeling process allows vitafusion to maintain the look and quality of its packaging. Multi-Color Corporation has replaced the traditional solvent used on the vitafusion labels with SunLam Adhesive, ensuring that the washing phase of the recycling process can easily remove the shrink labels. “The technical expertise of our packaging partners has enabled us to use the latest technologies available,” says Rich McNabb, Global Director of Packaging for Church & Dwight. 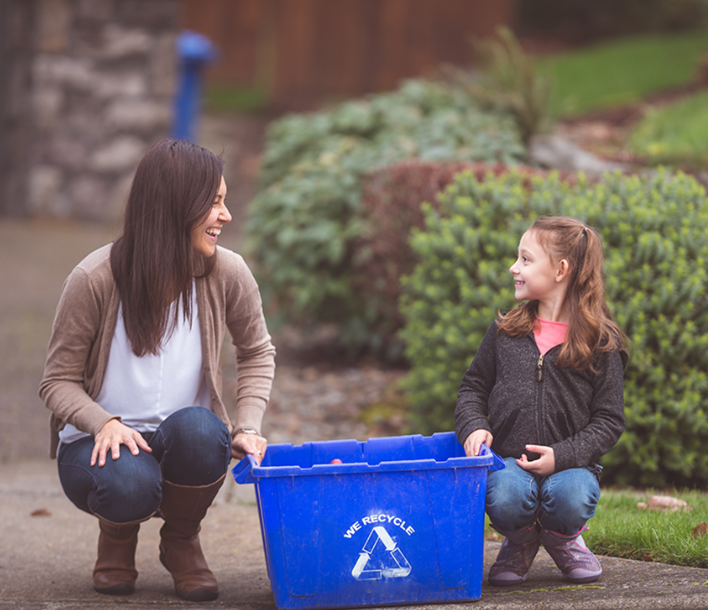 “Increasing the recyclability of our packaging is a great decision for the long-term success of our business and our environment. This exciting new technology has huge potential to improve recycling for shrink-labeled packaging across many companies and industries,” he adds. Packaging for nutrition and health products: What are the key drivers? Supplements are frequently packaged in transparent PET containers, which are recyclable. However, the introduction of recyclable shrink-film provides a new opportunity for supplement manufacturers to differentiate their products on the shelf with bright colors and graphics in a sustainable way. Across all packaging sectors, sustainability is of paramount importance to consumers. According to Innova Market Insights, biodegradable/compostable packaging in new food and beverage launches has increased with a compound annual growth rate (CAGR) of +41 percent in the last five years. There has also been a strong rise in recyclable packaging material documented in this timeframe, presenting clear opportunities for innovation. The market researcher’s statistics also demonstrate the pervasiveness of sustainability in the industry. When the sectors of packaging and health coincide, the call for sustainability is still strong. WestRock offers a wide range of adherence packaging solutions for the healthcare industry that are paperboard-based and fully recyclable at a time when sustainability is a key driver in NPD. The supplier also offers more than 50 commercialized F=1 packages which are easy to use and senior-friendly. “At WestRock, we work to provide our customers with innovative solutions to fulfill their sustainability strategies and objectives, while reducing the environmental footprint of our solutions through continuous improvement initiatives,” Dave Dwyer, Vice President of Global Strategic Marketing at WestRock Multi Packaging Solutions (MPS), tells PackagingInsights. Another key driver in the industry are safety controls such as child resistance. Pharmaceutical packaging specialists, Hoffmann Neopac earlier this year launched child-safe, opaque tins which are said to keep dry foods, such as pills and powders fresh, and protect them from children. The certified child-safe access for children means that the lid can only be removed with simultaneous pressure and rotation after the first opening. For young children, the pressure and turn lid cannot be opened. By contrast, for adults and the elderly, the certified child-safe caps are easy to handle. You can read more about the key trends in the packaging for pharmaceuticals market here, as well as Bormioli Pharma’s innovative delivery system suitable for the nutraceutical market.